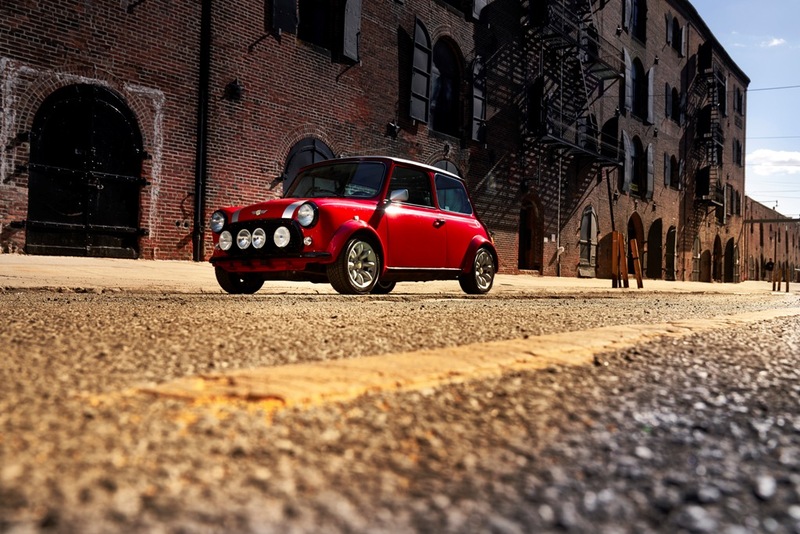 MINI has a really special world premiere at the New York International Auto Show. 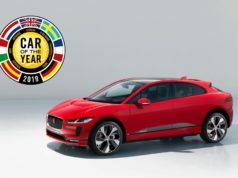 The British car manufacturer shows an extraordinary car which demonstrates its appetite for purely electric driving. That model is also a new take on an icon. The classic Mini Electric combines the historic look of the world’s favourite small car with groundbreaking drive technology for tomorrow’s urban mobility. With this unique vehicle, MINI sends out a clear signal demonstrating its commitment to retaining the brand’s unmistakable character whilst embracing innovative zero local emission technology. The original from the second half of the 20th century becomes a sympathetic ambassador for environmental awareness. It presents as well a form of sustainable mobility whose future has just begun. The urban electro mobility landscape will soon benefit from the arrival of a brand new model. And this car will have the brand’s characteristic charisma, individual style and driving fun. 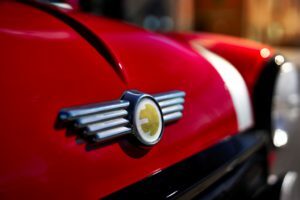 The MINI Electric Concept was announced at the 2017 Frankfurt Motor Show and paves the way for the brand’s first all-electric vehicle which will be unveiled in 2019 – just in time for the 60th anniversary of the classic Mini. 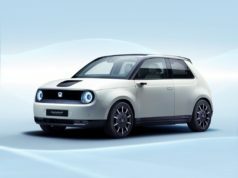 The fully electric production vehicle is currently in development, based on the MINI 3 Door, and will be produced for the first time at MINI Plant Oxford next year. In 2008, the brand presented the MINI E – based on the predecessor model of the current MINI 3 Door. There are about 600 examples of it which went through a field trial under everyday conditions. This trial played a central role in BMW i3’s development, which enjoys worldwide success since 2013. On the way to a new era in electromobility, MINI has already taken another step forward. In the MINI Cooper SE Countryman ALL4 Plug-In Hybrid model, the combination of an internal combustion engine with an electric drive provides a system output of 165 kW/224 hp. It also has an intelligent hybrid-specific all-wheel-drive system. 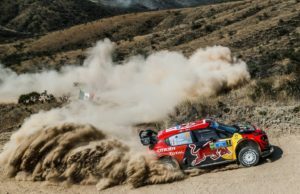 The vehicle draws its power from both engines for powerful acceleration, whilst retaining the ability to drive at up to 125 km/h in purely electric mode. 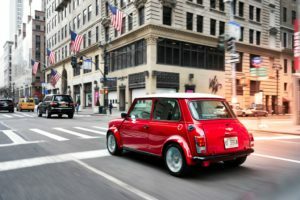 By contrast, the classic Mini Electric presented in New York will remain unique. 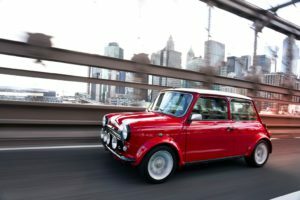 A late and carefully restored example of the classic Mini Cooper serves as the basis for this special vehicle. A contrast white roof and characteristic bonnet strip complement the exterior red paint. The yellow MINI Electric logo features in the brand emblem as well as on the wheel hubs. 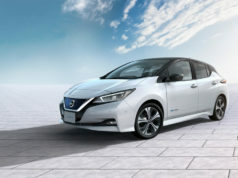 The electric classic remains true to the brand, both in terms of its visual appearance and driving characteristics.